Acrylic is used to make various products, such as display stands and racks,boxes and cases,bath enclosures, windows and skylights. Acrylic is very useful in our live.Because it is transparent, often used to display high-grade products. Of course you will say glass also are clear, but compared with glass, has properties that make it superior to glass in many ways. --Acrylic is just the half weight of glass but many times stronger .What's more, it is impact resistant and safer. --Acrylic is fully recyclable , excellent surface hardness and durability. --It is very convenient to be fabricated and easy to clean and maintain. --Very good processing, not only can using laser cutting, but also can be bending, easy to stick glue and Polish. --And also its temperature range is between 30 and 160 degree. Thus it is not widely used in indoor but also outer doors . 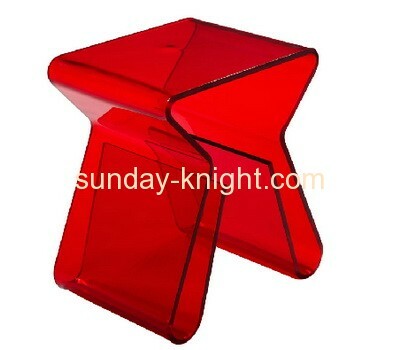 Due to these features acrylic fabrication is becoming more and more popular in modern life. And many business scope in future,it would play very important role.